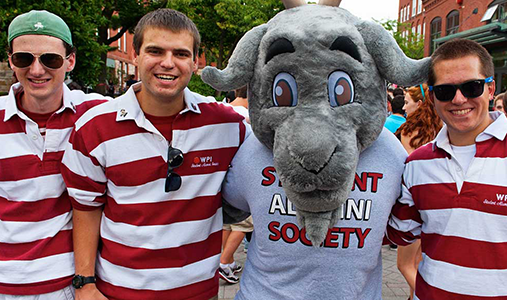 As a parent of a WPI student, you want to stay up-to-date about everything from registrar’s deadlines to campus events, and we understand that. We'll help you stay in touch and connected with resources at your fingertips. If at any time you are concerned about your student, contact the WPI Care Team for assistance. WPI students aren’t your typical learners, and the Interactive Qualifying Project (IQP) is not your typical study abroad. Whether traveling thousands of miles across the globe, or fifty miles to nearby Boston in Massachusetts, each term students and faculty members immerse themselves in a new culture where they delve into a problem that matters to real people. Follow 13 students and two faculty members as they embark on a distinctive immersive project experience working with local sponsoring organizations. The Parents & Friends Newsletter is sent out six times each academic year and is full of campus, student, and faculty news. Whether there is an upcoming event, an important deadline, or a cool student project, the newsletter is designed to keep parents current with all that is happening at WPI. If you are not receiving the newsletter, be sure to subscribe. The WPI Parent Portal allows a parent or legal guardian to have access to view academic and billing information. All parent portal accounts must be initiated by the student. Access and use instructions are available for parents and students. Ask any student what the most important part of their college experience is, and there's a good chance that "the food" will be at the top of their list. 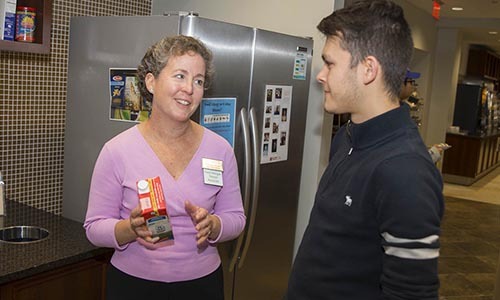 ​Shavaun Cloran, WPI’s registered dietitian, is one of the team members responsible for coming up with a healthy yet delicious daily menu for a diverse community that also takes serious food allergies and dietary restrictions into consideration. With over 200 different clubs and activities--including gaming groups, community service opportunities, and even underwater hockey--there is something for everyone at WPI. 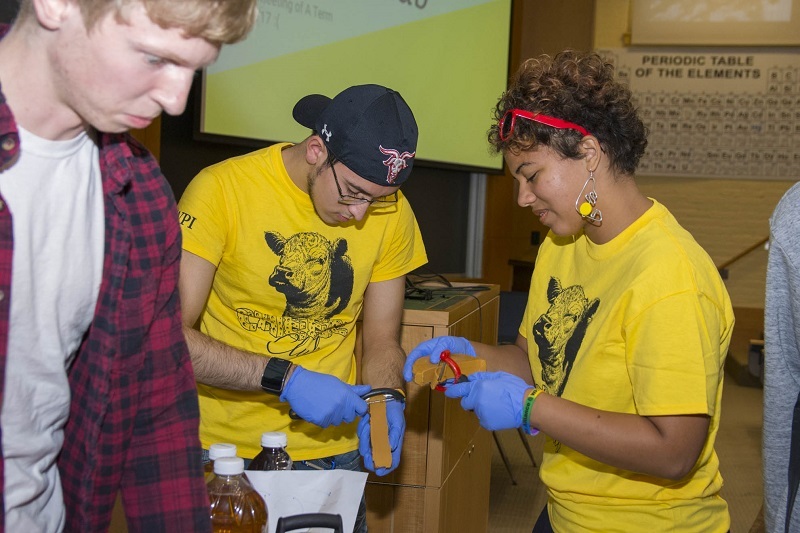 Learn about one of WPI's newest student groups: the Cheese Club. Read more about WPI's Got What? With all the college ranking lists available to read, which ones can parents trust? Kristin Tichenor, WPI senior vice president for enrollment and institutional strategy, cautions that all rankings are not created equal—and that those metrics that align with the university's strategic priories are most notable and valuable. What does WPI offer your student? While our graduates typically earn high starting salaries and secure meaningful employment shortly after graduation, a WPI educational experience is anything but typical. Find out all the ways WPI helps students explore their interests and turn that work into a fulfilling career that lets them make significant changes in the world.